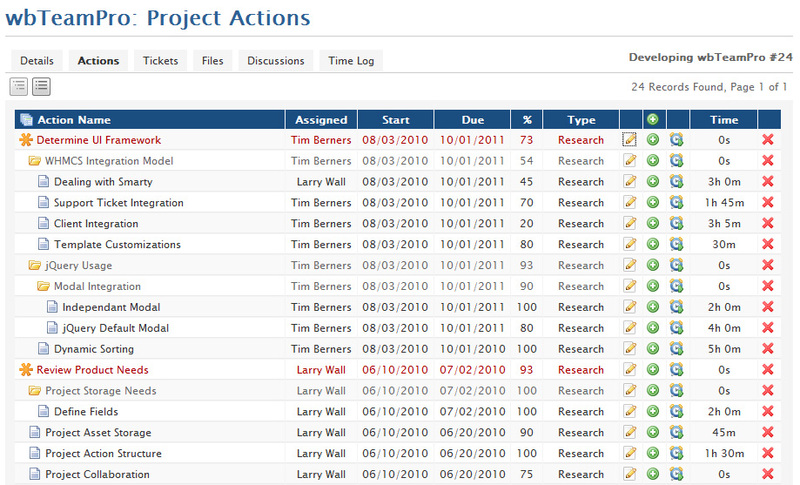 Quickly review daily activities and upcoming action deadlines for yourself and the team. 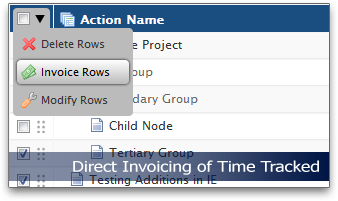 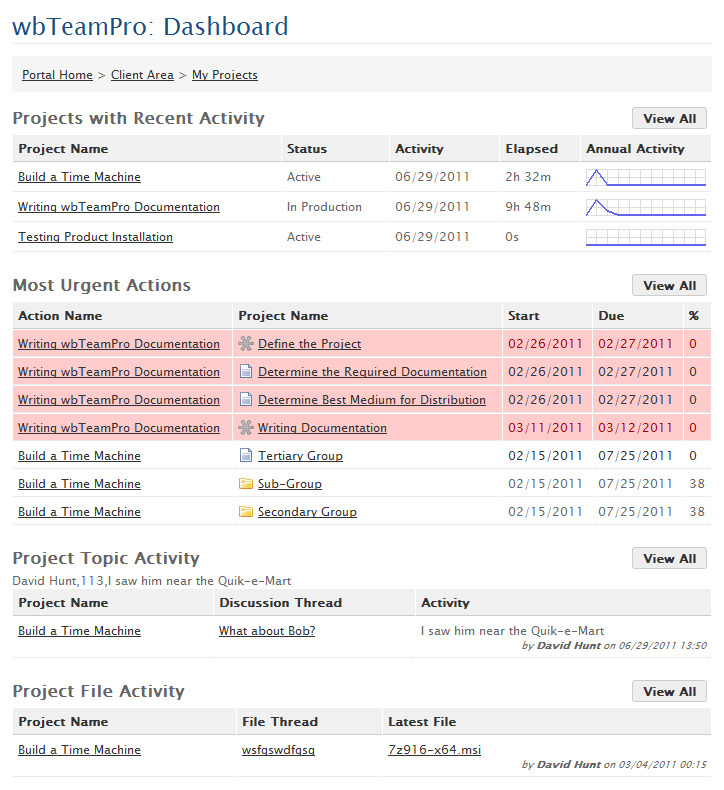 Easily organize project timelines in a dynamic tree structure that can easily accommodate your unique methodology. 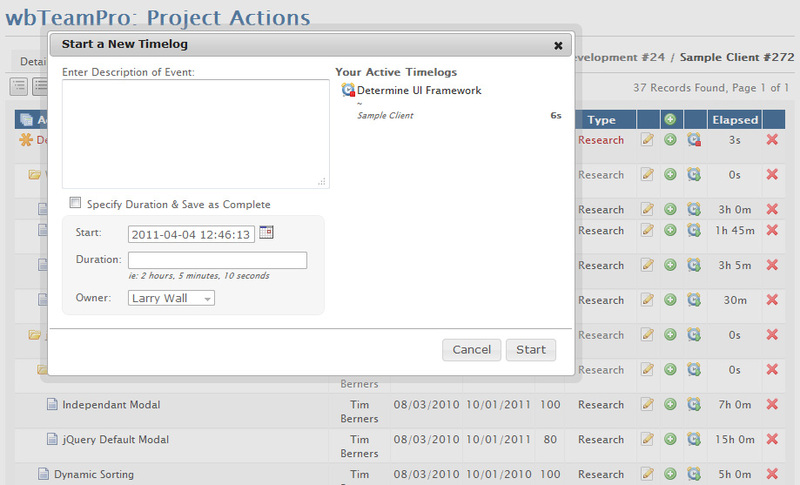 Quickly start the Stopwatch feature to track your ongoing Action activity. 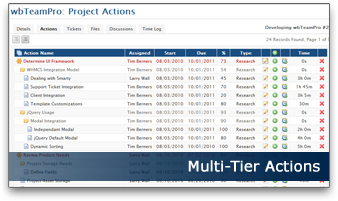 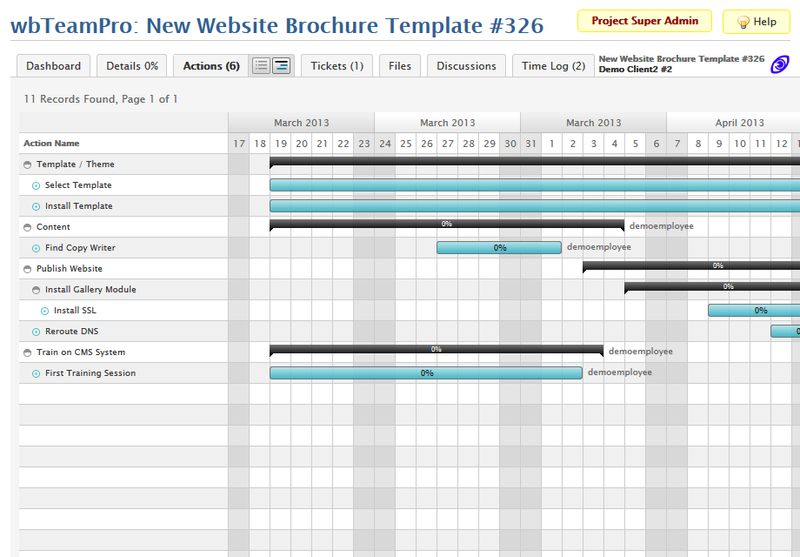 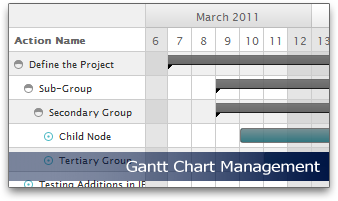 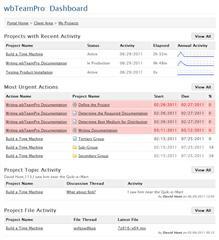 Manage your project timeline using an interactive Gantt chart display. 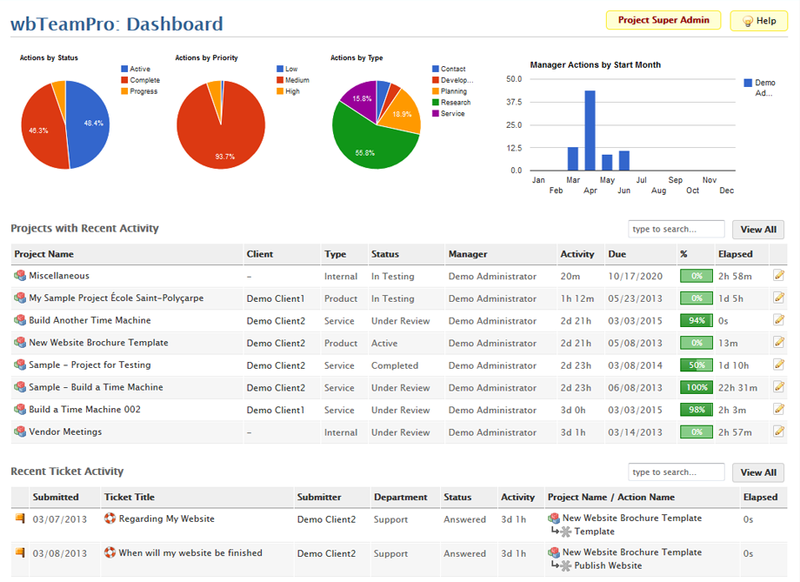 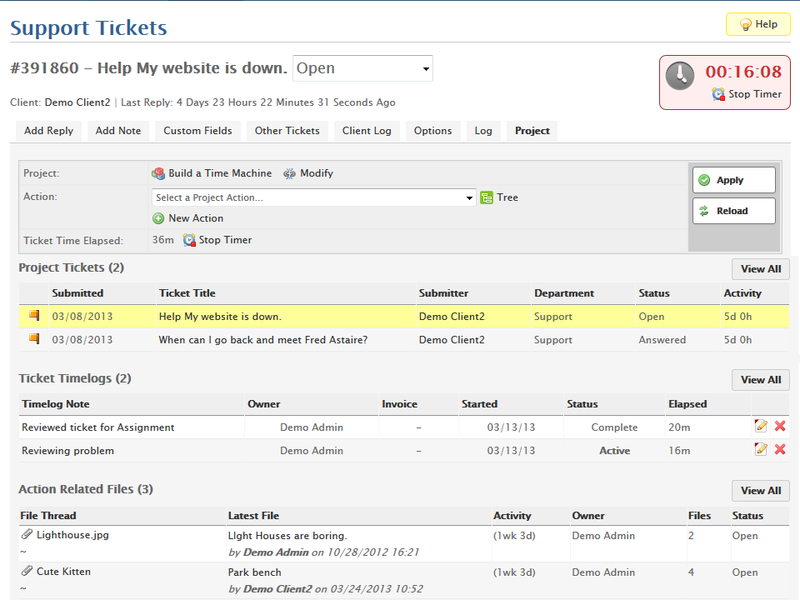 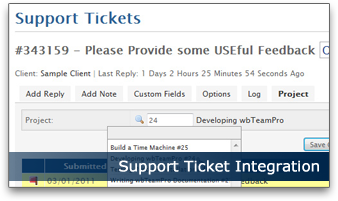 View related Project materials and quickly track time spent answering Support Tickets. 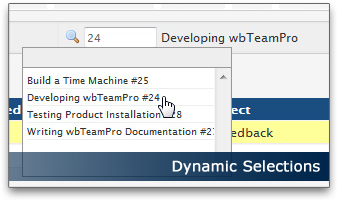 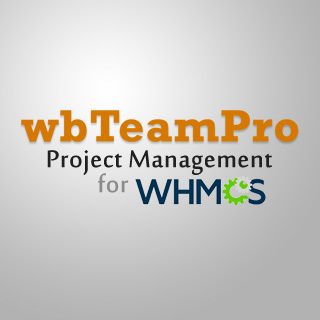 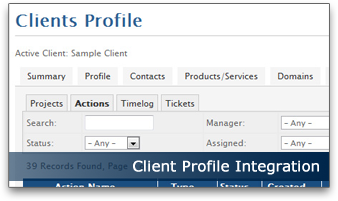 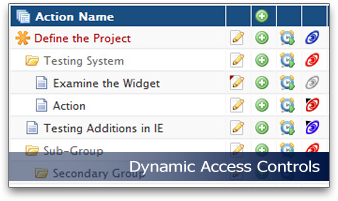 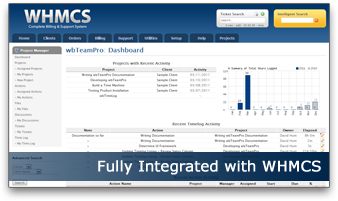 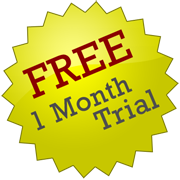 wbTeamPro integrates with your client front-end for client access to project materials.